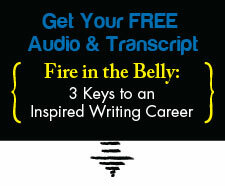 I Was Scared Too | Writing & Book Coach | Marla Beck, M.F.A. When I became a mother, something inside me blossomed. A beautiful remedy of biology and faith healed me of my motherhood fears. The magic started when I became pregnant, for I was filled with tremendous wonder. How could my body – a body infused with a chemotherapy drug so toxic it is no longer administered in the high cumulative doses I received twentysome years ago — how could that kind of a body “work right” and actually produce a child? As my belly grew, I embraced the strange magic of pregnancy. Then, after my daughter was born, I sat with her for endless hours, drunk on oxytocin, intoxicated by the scent and unspeakable aliveness of her newborn baby skin. I surrendered to being a mom. And in that surrender to experience…I let life change me. Have you had a watershed experience in your life, one that invited you to be in your life in an entirely new way? Perhaps you had a child or launched a business. Perhaps your shift came through loss, like the end of a relationship, the end of your health-as-you-knew-it, or the death of a parent or someone you dearly loved. When life shifts profoundly, it’s difficult not to let life change you, isn’t it? Pursuing work you find meaningful? Passionately producing a book, a speech, a play or a new project? Glowing with that confidence that comes from walking through something big, and then sharing what you’ve learned to help others? When life shifts, it’s often not just the “big thing” we’re walking through that deepens our aliveness. It’s our response to the shift — our courage to own our authority, to articulate our dreams, to write, create and communicate – from the heart. It’s time to do something meaningful and courageous with your experience. Next post: What’s it going to take.